Used at first for “syndicating” (a fancier term for exchanging content) blogs and podcasts, it quickly became the de-facto standard for exchanging all kinds of data on the web. While, admittedly, RSS has mostly left the limelight in recent years, it is still widely used among bloggers, news-junkies and web tinkerers. Since most of the Walls.io team members proudly claim they’re part of one or more of these groups, it’s little surprise that Walls.io offers extensive support for RSS. And I’m going to show you how to set that up in. First things first: If you’re embedding a social media hub on your website or have a social wall on your event, you’ll probably also want to include content from your existing blog(s). Good news, all Walls.io plans offer the ability to include RSS feeds in your channel settings! Just copy/paste the URL to your feed, click on “Save changes”, and a minute later current blog posts will appear on your wall. Walls.io supports up to 10 feeds per wall (check out our pricing), so there’s plenty of room for your feeds. Not sure what the URL of your feed is? 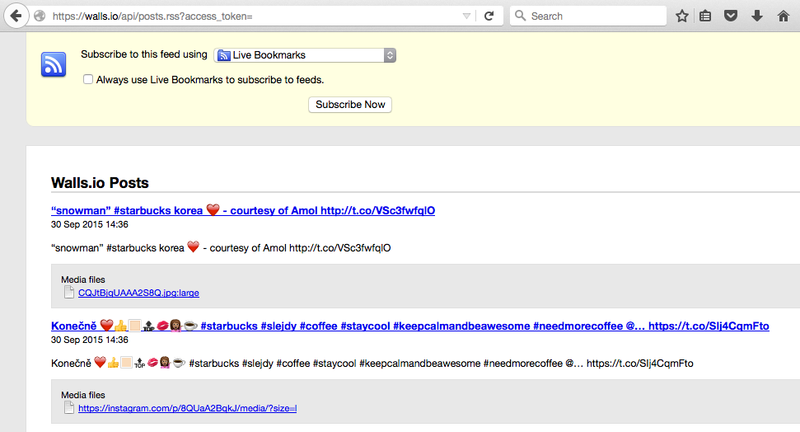 Normally, it’s the domain of your blog followed by “/feed” (e.g. blog.walls.io/feed) or “/rss” (e.g. blog.walls.io/rss). WordPress is easily the most popular blogging system on the planet – and rightly so! Unfortunately, RSS feeds generated by WordPress don’t use the <enclosure>-Tag (for details, check the RSS spec) to specify a “featured image” out-of-the-box. Since we believe the resulting “text-only” posts wouldn’t do your blog justice, we went to great lengths and optimised our RSS import accordingly. If your feed doesn’t have <enclosure>-tags, we’ll automatically look for existing Open Graph tags, that means that Walls.io will check if there’s an og:image set and then use that as “featured image”. You can use the Jetpack plugin to generate Open Graph tags easily. Now, having RSS content on your wall is one thing. But what if you’d like to take content from your wall and put it somewhere else? Why not let Walls.io do the grunt work of collecting posts from 13 different social platforms and then have them piped into the web app of your choice? If you’re new to feeds you might be thinking: “Fine, but what do I do with that RSS thingy now?” Well, for starters you could use an RSS reader like Feedly to receive updates on new content on your wall. Let’s say you have a wall set to “Manual moderation” and want to check all incoming posts before having them displayed. 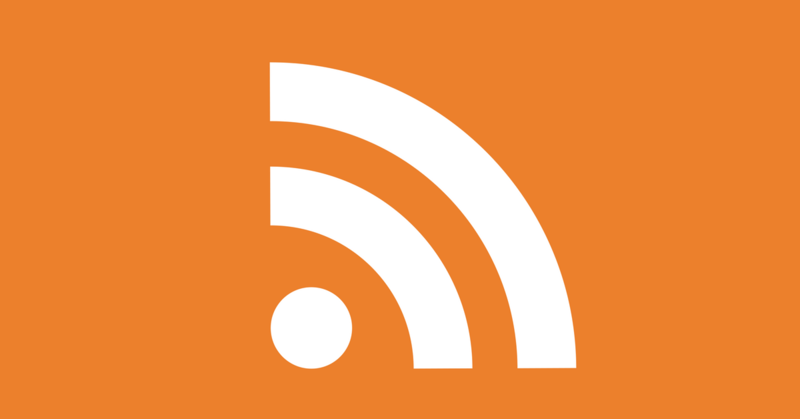 Just subscribe the RSS feed and you’ll be updated on new content via your feed reader! A Walls.io Premium customer recently emailed our support team with a very particular use case. They were doing a hashtag campaign on Instagram and were planning to use Walls.io to automatically collect all tagged photos on their Dropbox. They tried piping the Walls.io RSS feed into IFTTT, which unfortunately failed at saving the <enclosure>-images to Dropbox. Always eager to help out, I investigated alternatives and found Zapier! 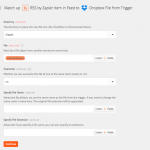 While this automation service works very similarly to IFTTT, it supports way more sources, even JSON- or RSS-Feeds (for the non-geek: this means you can, basically, pipe anything into Zapier). 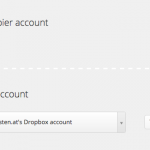 Combined with great support for Dropbox it was a matter of a few clicks to mash up a solution (check the slideshow below to see how it’s done). 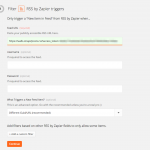 When testing, we also learned that Zapier seems to be more stable & reliable than IFTTT (which is crowded with outdated, non-working recipes), which is why we whole-heartedly would recommend it for business use (it’s not free, but pricing is very reasonable). So, that’s it – Walls.io goes RSS, in a massive way! While I’m sure our very own editor-in-chief Andie* will be railing against me re. the length of this post 😉 I sure hope that you, dear technically inclined reader, have enjoyed learning more about how you can use your social hub with RSS. Any questions regarding the matter? 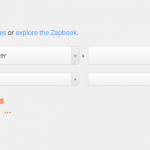 Have a great IFTTT recipe or Zapier solution to share? I’d love hearing from you in the comments!